Cycled 30km at the gym this morning! Thought that was quite an achievement, took me an hour and I really enjoyed it. After that I went to work, then came home and finished off the first draft to my travel book. I feel like I’ve got so much done today! 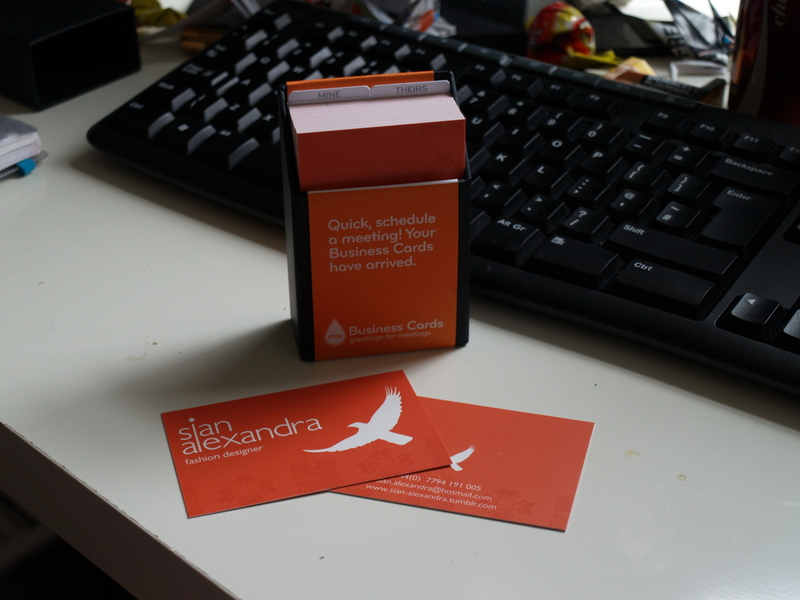 And, Sian’s business cards arrived from Moo.com , my first commission of this kind, and I’m really happy with them, can’t wait for her to see them!